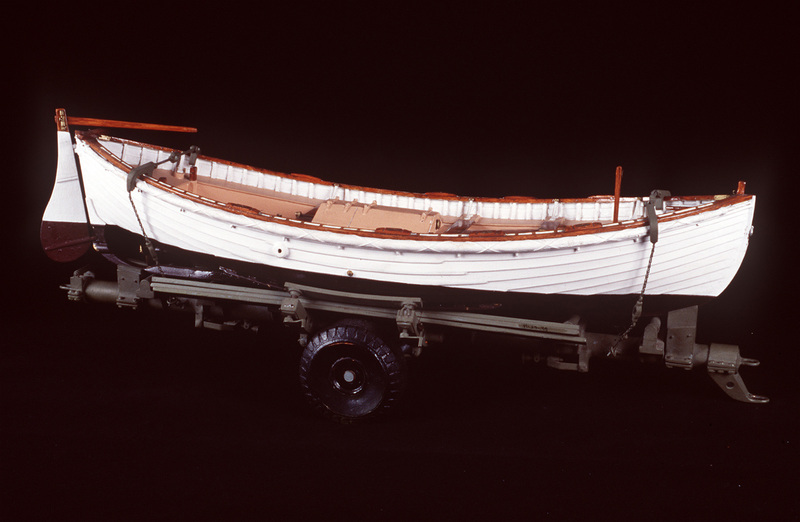 ↑Model of the 25-foot 10-inch motor surfboat on a trailer. Coast Guard Museum Collection. ◎Station: Portsmouth, N.C., Fort Macon. ◎Station: Fire Island, Smith Point. ◎Station: Sleeping Bear Point, White River.